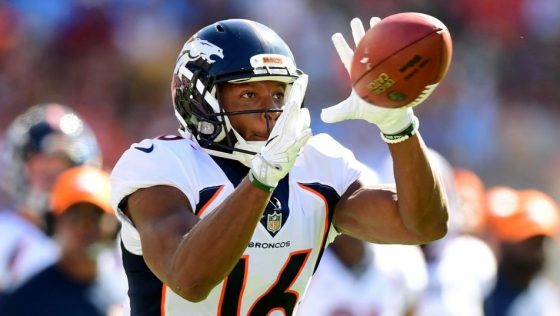 It seemed like a blink of an eye as it was announced just minutes ago that the New England Patriots have cut ties with recently signed wide receiver Bennie Fowler. NFL insider Ian Rapoport confirmed the news on his Twitter account. The #Patriots have cut WR Bennie Fowler, source said. That was fast. Fowler spent his first few seasons with the Denver Broncos catching 56 passes for 698 yards and five scores. He signed with the Chicago Bears but was however waived in the Summer during final cuts. The Patriots wide receiver corp is now as follows. In addition to releasing Fowler, the Patriots promoted offensive lineman Cole Croston to the active roster while re-signing wide receiver Riley McCarron to the practice squad.